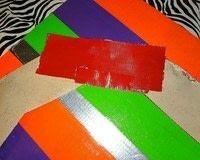 With some duct tape and paint you can look like one classy stud or studette! 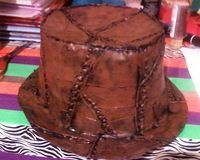 https://www.cutoutandkeep.net/projects/diy-duct-tape-steampunk-top-hat • Posted by Aidith R.
I was looking at steampunk photos, and was drooling over some awesome top hats I saw. Then I happened to glance over at my duct tape and it sparked this whole idea. And that's where the magic began. 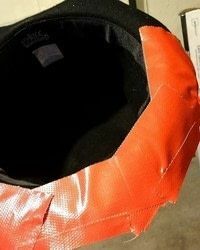 Cover the outside of the hat with duct tap, be sure to have the sticky side facing out. Completely cover the sides, and top of the hat. I do the first layer this way to make it easy to slide off of the hat. 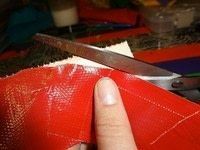 Once you have covered the sides, add a layer of tape to cover the sides, sticky side in. If you'd like, you can do 2 layers of tape to make it a little more durable. Once you have finished covering the sides, slide it off of your model hat. 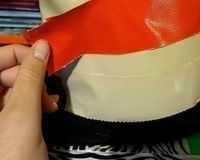 Flip the hat upside down, and cover the rim with tape (if you're using a fabric hat, it should peel off easy, but if you're using a plastic hat you may want to apply it sticky side out as you did with the sides). 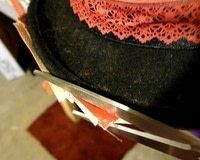 Once you have the rim completely covered, flip the hat right side up, and trim the tape around the edges to line up evenly with the rim. After it's been trimmed, carefully peel off the tape (it should come off in a ring shape) and cover the other side with tape. 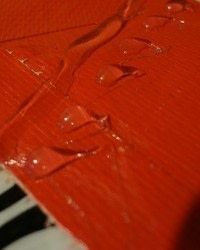 Trim the tape to match your first layer. 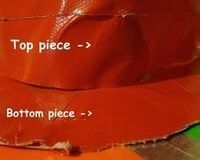 Once you have finished your rim, match it up to the top part of your hat, and tape together (tape it on the outside AND the inside of the hat). 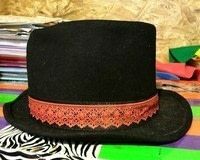 Once your pieces are together, you should be able to tell it's a top hat. 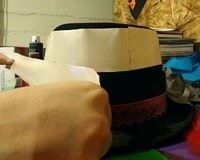 Using the hot glue gun, make different lines and studs (after the hat is painted, it should look like it's a pieced together hat). I used my finger to rub on the brown paint, which is messy, however it's easier to prevent odd paintbrush strokes, and personally I feel like it's easier to control where it goes. Rub it on, and try not to get too much in the creases, that way it won't ruin the antiqued leather look. Use a sealer spray, and cover the hat, and be sure to get under the rim as well. 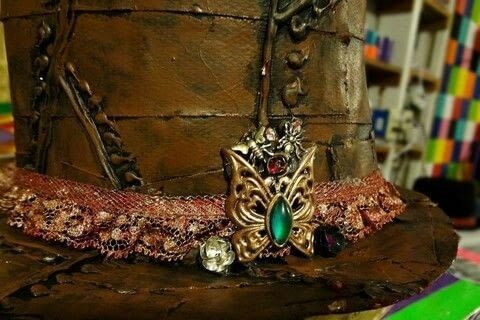 Using the hot glue gun, attach the lace or ribbon of your choice around the hat, I chose a copper lace for mine. If you wish, you may also add other things to decorate it (I used little bugs, a butterfly and little flowers). 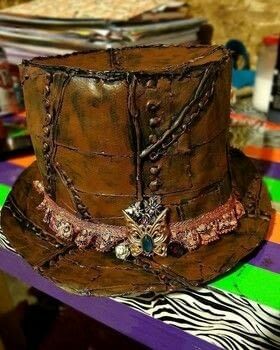 Now you can sit back and admire the cheapest steampunk top hat ever!